First of all I would like to Wish Every One A Happy & Prosperous New Year . 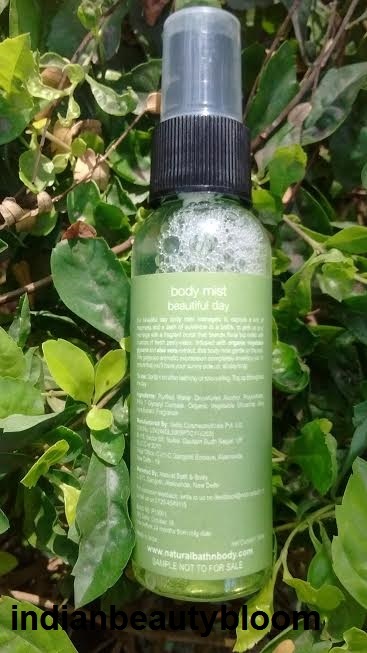 Today I am going to review a product from brand Natural Bath & Body . 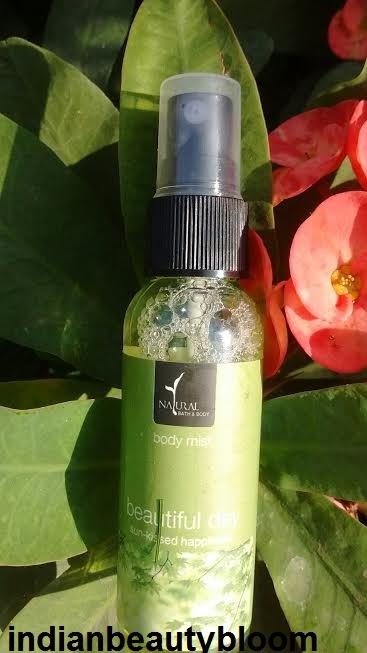 Natural Bath & Body is a brand which offers natural products made from essential oils and botanical extracts .Their products range includes products from Bath & body as well as face care . 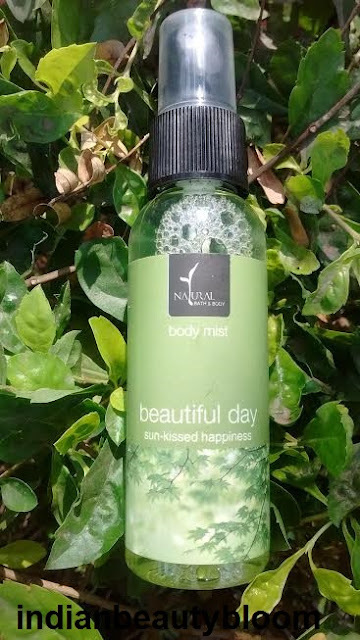 This Body mist is the first product from this brand which I have tried and I am quite impressed with it. It has nice floral fragrance . The product comes in a good quality plastic bottle with a nozzle and a cap . 1. Nice floral fragrance . 4. 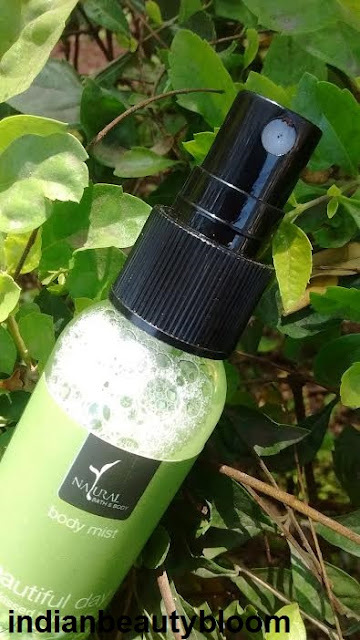 A natural product , does not contains harmful chemicals . I have used this product few times and I really liked it . Much better than perfumes having strong smell . I like the ones which have mild fragrance and this one a lovely floral fragrance . So it’s Suitable for daily use .